Prayer needs to be part of our daily lives. It is through prayer that we worship and praise God. It is the way we petition God for our needs, and to seek God’s intervention for those that cannot pray for themselves. Prayer is needed to strengthen our spiritual nature. When we pray we ask in faith, not wavering, not doubting. James 1:5-6; 4:2-3. When we pray we pray unselfishly, being more concerned for others and for God’s glory. When Jesus prayed in the garden of Gethsemane He was more concerned with us, and with God’s will and glory. When we pray, we should pray as Jesus prayed. 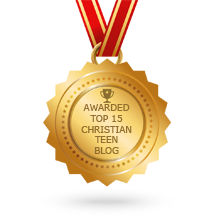 This entry was posted in A CLICK A BLESSING TODAY, CHRISTIAN FOUNDATIONS OF BELIEF, CHRISTIAN LIFE AND THE WORD and tagged Bible, Christianity, God, God's will., Holy Spirit, Jesus Christ, prayer. Bookmark the permalink. Amen Sister. I enjoy to read all blogs. Amen really! “Not my will but Thy will” is what I truly work at remembering to say out loud in my head at each instance of prayer! Bless you for such a wonderful post about all the things praying includes!